Operation Christmas Child resource fair was held at Anderson’s Pizzeria Thursday night. Individuals representing several churches were in attendance to ask questions and pick up supplies to get ready for national collection week Nov. 14-21. If your church or organization would like to be a part of Operation Christmas Child, contact Mark Fudge at 270-634-2919. 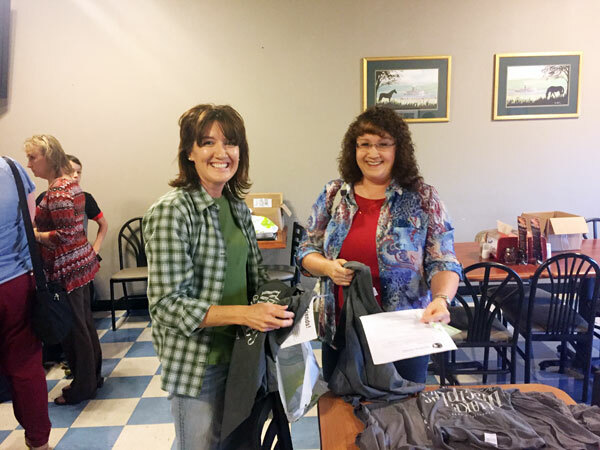 Connie Young and Christine Williams were in attendance at the OCC resource fair Thursday evening at Anderson’s pizzeria. The Cane Valley Baptist Church has been active in OCC for several years.